We love wedding photography at Postlewait’s Country Weddings, precisely because of moments like this! We love photographing at the beautiful Postlewait’s Country Weddings! Jennifer had a wonderful time as the wedding photographer at Jason & Kristina’s wedding! 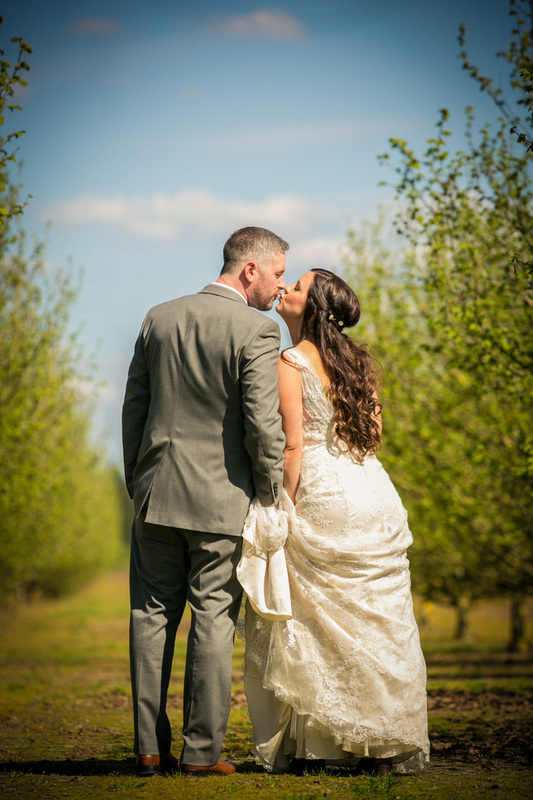 It was a beautiful Spring day at Postlewait’s Country Weddings in Canby, Oregon. 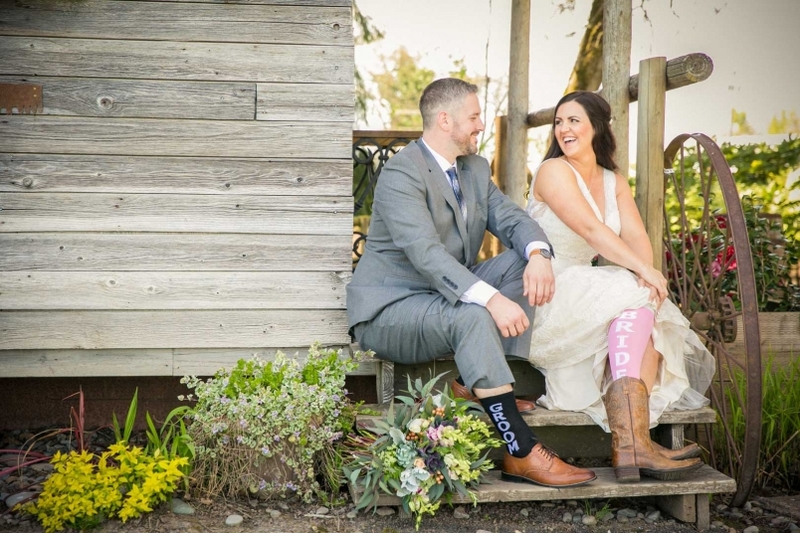 As you can see, Kristina really got a kick out of wearing her cowboy boots at her wedding…. The bride and groom had a wonderful sense of humor, and we were cracking up the whole day. Read on to hear more about her epic cake smash, and more! We love the little Saloon at Postlewait’s; it’s just made for wedding photographers! We are Postlewaits Country Wedding Photographers. The wedding ceremony beneath the trees at Postlewaits Country Weddings. Have you ever seen Rock, Paper, Scissors at a wedding? Well, now you have. First dance in Postlewait’s Country Weddings’ barn. 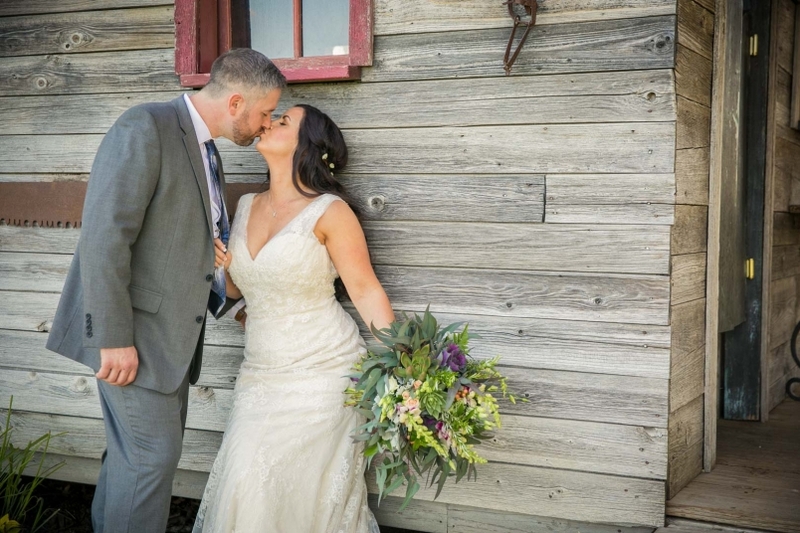 The barn at Postlewaits Country Weddings is a lovely, rustic venue for a wedding reception. Kristina’s Big Fabulous Greek Family came together to cater the event themselves, and the food was amazing! Everybody loved the toasts at this wedding! Kristina and Jason’s wedding cake cutting was impressive! Their cake smash was epic. Kristina played it cool to start, but then she went in with a complete stiff arm and managed to shove cake straight up Jason’s nose. But that wasn’t even the best part; before Jason could get revenge, Kristina grabbed his wrist and inhaled the piece of cake that he was holding, effectively disarming him. Now that is a cake smash! A kiss at sunset finishes off the wedding day nicely! 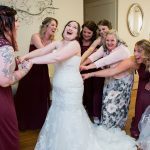 Are you looking for a Postlewait’s wedding photographer? You’ve found us! We love wedding photography at Postlewait’s Country Weddings. Contact us today to talk about your wedding photography!